If you are looking to adopt a Silver Lab, it is crucial to learn about its background and temperament. It is an excellent way to make sure that you know how to give them a better lifestyle and meet their needs at the same time. Silver Labs are unique breeds of dog that possess a lot of lovable qualities. So, if you are excited about many things to discover on this favorite pet of many, keep reading! Silver labs look similar with other Labradors, only that they vary in coat color. Their coat is dilute or pale chocolate. However, due to the extent of dilution, their color sometimes appears gray while some are silver. These different variations made some people even believe that they don’t deserve to be called Silver Labrador, or they should be considered purebred. There is an ongoing debate whether the Silver Labrador is crossbred with Weimaraner or a product of the diluted gene of a Chocolate Labrador based on scientific pieces of evidence. Studies claimed that they are produced through mating Pale Chocolate Labs. This procedure was done during the first generations of Labrador so that their race continues up to the present time. The American Kennel Club registers them under Chocolate Lab. Where did the Silver Labs come from? Before, the first generations of Labrador Retrievers were black. But in the late 1800s, the color variations such as yellow and chocolate were already added to the record. Before that period, no one wants to adopt black Labradors because they look unfashionable. As the world is getting advanced and more people are interested in these breeds, they started to breed chocolates and yellows to give this pet a distinct appearance. The history of silver labs started when the duck retrievers caught the attention of English Nobles who visited Canada. These people then returned to Britain in 1800s, with a goal to develop a breed similar to these dogs. It is why these breeds got their other name, Silver English Lab, due to how they are discovered. The English Nobles tried to go back to the US and registered the dog to the American Kennel Club in 1917. Take note that this organization does not permit silver under the Labrador breed standard. Therefore, instead of silver, they were registered as chocolate because this kennel group does not recognize the color itself. At that same period, the silver labs are very rare. Breeders took advantage of that situation and sold the puppy silver labs between $800 to $1500. Long before these breeds became pets at home, they were first used in hunting. That makes them flexible and great to have in every household. As people discover the temperament of the silver labs, they began taking care of them due to various reasons: protection, companionship, sports buddy, and many more. Silver labs can live between 10 to 15 years. 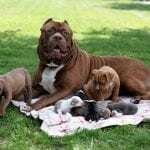 For those who believe that these breeds came due to the diluted gene, they also associate the common health issue of these dogs in the occurrence of color dilution alopecia. This disease is an inherited condition that leads to hair loss and flaky and itchy skin. The gene is said to be the reason for the existence of diluted color that prevents the hair follicles to grow new hair. There is no known cure for this health problem, but veterinarians may prescribe a medication to control the symptoms and complications. What color labs make a silver lab? 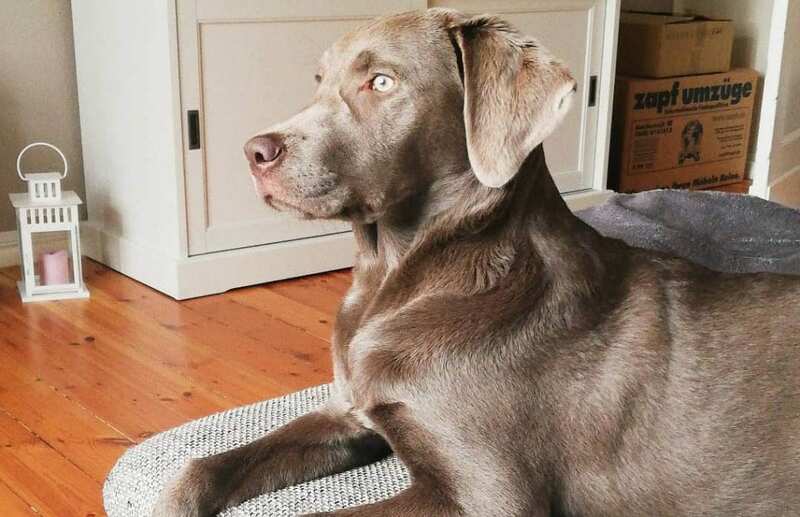 To break the confusion about the correct color of silver labs, let us take note that they have a paler chocolate fur, resulting in a lightened and distinct shade that subtly changed to silver. The dilution of chocolate color on their body leads to a more metallic appearance which is why they are referred to as silver labs. It is also one of the reasons why some people believe that Silver Labs came from the Weimaraner gene. It was said that it is responsible for giving this dog that silver color. This belief continued to be controversy but what matters is, silver labs are the most-sought-after breeds in the world due to their distinct and likable qualities and temperament. Their color is not a big deal for those who consider their character most. Another attractive trait of silver labs is they have a double-layered coat. It helps them withstand the coldest weather and protect them from getting sick when harsh temperature strikes. One of the funniest things you might have heard about them is that their body is waterproof. It was said so because they are suitable for water. They are ready to play in chilly water without feeling cold quickly. Their coat is highly protective. Under that slightly long hair is another layer of soft fur that serves as an insulating layer. This portion helps them sustain the heat to keep their body warm. This layer also supports the natural oils from the dog’s body to repel water. Their coat only sheds twice a year; however, it can be stressful for the dog owner if this condition occurs. You have to clean your home and vacuum everything when piles of fur started to scatter on the areas where your silver lab might pass by. When it comes to popularity, silver labs will beat other dog breeds. 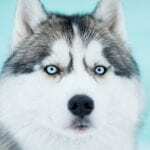 The American Kennel Club ranked them number one in terms of popularity. This award is not surprising because they are known to be adaptable, friendly, and gentle kind of dogs. Despite these temperaments, pet owners must still train them to socialize with people and other animals at an early age. It is essential so that they can also adapt good behavior and proper conduct which they can practice when mingling with the group. It will also help them overcome fearfulness and aggression so that they are kept safe and controllable. These dogs would love foods as a reward if they did a great job. An excellent way to do it is to give them nutritious foods that still meet their needs. Control their calories if their weight is increasing. The market has a plethora of food products to choose from that are made explicitly for Labradors. Choose one with high-quality and contain the essential vitamins and minerals it needs and avoid those with preservatives. Although the color or actual breed of silver labs sounds confusing for you, you should still remember that they have the same needs as other Labradors regardless of their color. They need mental stimulation to keep their lifestyle active since they are naturally energetic and athletic. Just like different kinds of dogs, they also need grooming and regular checkup at the veterinarian. Silver labs are protective, making them the favorite of many people. For some, their origin doesn’t matter because of their desirable traits. They are known to be responsible and very trainable in so many ways. They can also be versatile which means that they can quickly adapt to a new situation. These fundamental qualities of a pet dog enable them to outshine other dog breeds that look cuter and cuddlier. If you want to have this breed, you will notice that it frequently shows eagerness to learn new tricks. They are always excited when there is something you have for them like games and intense activities. Silver Labradors are also possessive and affectionate of their masters. They always appreciate the love and warm care they experience from their pet owners although they become adults. Once they feel closer to their owners, they instantly become protective most especially to kids. You will notice this temperament whenever you talk to other people whom they haven’t seen yet. They look anxious whenever you are with a stranger. One of the notable qualities that should be mentioned is that silver labs are smart. 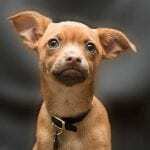 It is not arguable if you say that dogs are naturally intelligent regardless of their breed, but as you observe this pet every day, you will indeed say that it is smarter than the other breeds. However, it is still crucial to teach them proper behavior so that they will also possess discipline. Is a silver lab a good family dog? Despite the great qualities of silver labs, you should also take note that there are some characteristics that you won’t like. They love chewing and mouthing which can surely make you stressed. They mostly target furniture, rugs, shoes, and other things you have at home. However, do not be discouraged because there is a remedy for this problem. You can train them to stop and reward them if they can control themselves to do the action. It is just a matter of patience and a proper way of implementing the discipline. They also like to greet their masters and other members of the family when they arrive home. That shows how affectionate they are. They love to seek attention and don’t hesitate to give it to them, so they feel being loved. Also, they always like getting rewarded. Make it a trick if you want them to behave correctly by not eating your couches when you are away. 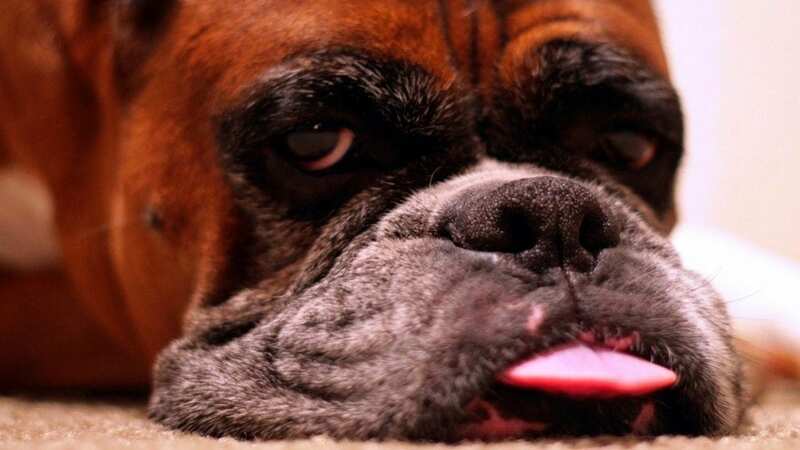 Since these breeds are energetic, they also love to run all over your home. It is hard for them to overcome this action, but they will learn to control it as they reach adolescence. So, be careful when you want them to enter your home where there are breakable things. Training them to avoid the things that you don’t want him to do doesn’t need to be complicated. With a slight technique and a lot of patience, they will eventually learn to follow you. They are smart so expect them to be trained quickly. The attitude of silver labs happens because they mature slowly. That means that they possess a spirited teenager who loves fun and lively lifestyle. They are enthusiastic, but still easy to control when proper training is done. Silver labs easily get bored when they have a dull activity. It will trigger them to chew anything they can see to kill their boredom. It is why you need to make sure that you can give enough attention to this pet every day. If you are away, offer them toys that they could play to distract their attention from your couch or expensive rugs. Another alternative that could prevent your silver lab from biting you or other family members is by spraying your hands or fingers a taste deterrent. It may taste bitter for the pet, but it is not toxic. It is an easy way for you to let him stop this playful behavior. The adult silver lab can grow up to 21 to 25” tall and weigh between 55 to 80 pounds. As he grows older, he is most likely to eat more foods. He can even consume between 1650 to 2400 calories a day which is way too much compared to other breeds. If you think that he exceeds this amount, you have to let him exercise every day for a more extended period so that obesity won’t be a problem. One of the most notable characters of silver labs is that they can eat anything you give them. Whether it is food from the garbage or something placed at the top of your dining table, they can grab all of them without hesitation. That means that they can quickly gain weight if you neglect the right amount of his food every day. Since we have mentioned that he can eat anything he wants, you have to keep an eye on him whenever you bring him to walk. Some foods are toxic for him and will not only ruin his digestive system but can also be fatal when not treated immediately. 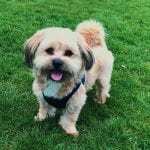 Since there is a wide variety of foods available in the market nowadays, it can be difficult to determine if which of them is suitable for your pet. If you are hesitant to buy a food product, you can consult a veterinarian so that he can recommend a high-quality brand that meets the needs of your silver lab. If it is the first time for you to introduce food to a silver lab puppy, make sure that you only provide a small amount of meal. Puppies eat smaller portions so controlling the food you put on the pan will help you prevent wastage. You can slowly offer them dry kibble when they are more than eight or nine months old. It is the period where they can chew the food well. Don’t give them large bones because it can affect their digestive system. These breeds have a huge appetite, so it is essential to watch them eating while the other pets at home are eating as well. They may eat the food reserved for smaller dogs so make sure that you can control him when it happens. You can feed him raw meat because it is rich in protein. He needs this mineral to sustain the energy he needs in a day. Take note that as the silver lab is growing, his demand for food is also getting bigger most especially that this breed loves eating. However, you are also responsible for controlling his diet and only give him the appropriate amount based on his age to avoid obesity and other health issues. Silver lab puppies require four meals a day. You should give a three-hour gap between these meals. Puppies grow faster, and it is also the stage that they need to supply themselves with nutrients that high-quality food can give. Their body organs should develop stronger it is why it is always recommended to feed them the right kind of food. On the other hand, adult labs should only eat two times, that is morning and evening. The appropriate portion for adults weighing around 60 pounds should be equivalent to four to five cups of food daily, divided into two servings. 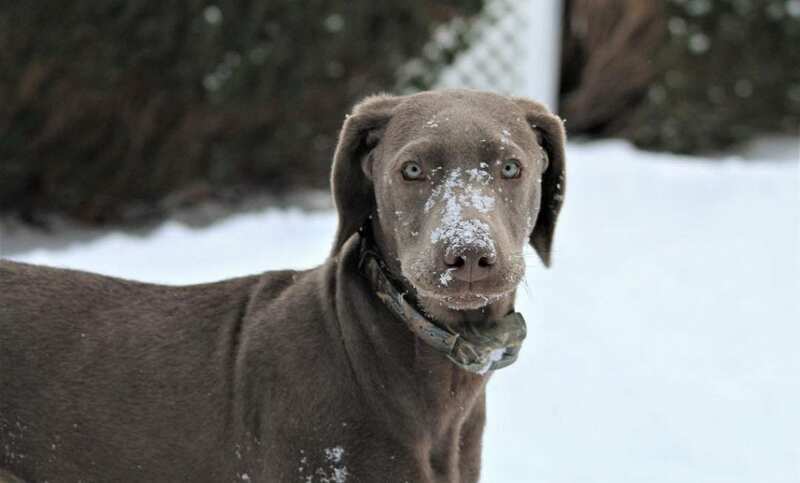 The silver labs coat sheds seasonally. Therefore, they need regular grooming. There are special combs that are designed to remove dead hair. 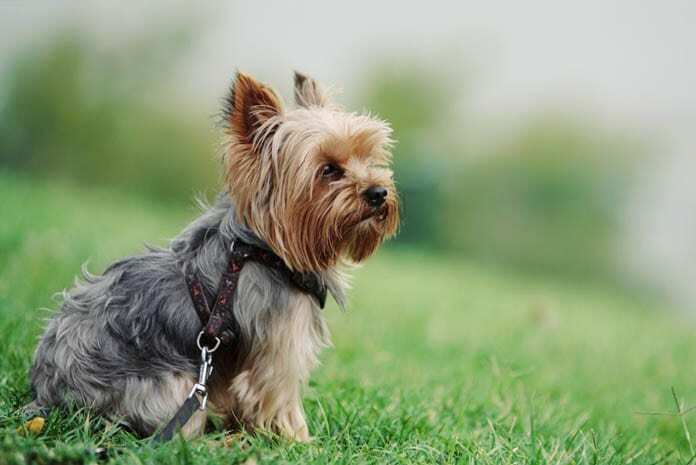 Washing him every two months can keep his coat shiny and prevent fleas from residing in the thick layers. This method is also recommendable during the shedding season. Use a high-quality shampoo designed for a coat. It is also crucial to keep the silver labs clean most of the time, so they are not prone to disease caused by bacteria and virus. Check his ears, eyes, and paws and ensure that they are tidy. You can also buy him a special comb to keep his coat and skin look great. Trim his nails to prevent bacteria and infection from residing on this part. Checking his ear regularly will also help him avoid infection. Make sure that there is no bad smell coming from it. It is also necessary to clean his outer ears after he took a bath regularly. Use a damp cloth to remove the dirt but be gentle when you have to go deeper to prevent injury on the delicate area. You also need to clean his eyes by wiping the sides with a damp cloth. Paying attention to these needs will help you see if he has eye problems that need to be treated as early as possible. Check if his eyes are cloudy or its appearance is something unusual. There are also kinds of toothpaste designed for dogs. Avoid using a toothpaste made for humans because it can be toxic for him. Then, brush his teeth daily to keep it clean. If you can’t make all of these grooming recommendations, you may bring your pet to a professional groomer who is well-trained to ensure that your silver lab is clean. Are Silver Labs Good Family Pets? It is worth noting that silver labs are great swimmers. They have an active lifestyle since they are naturally athletic. You can bring them anywhere with safe water so you can train them to swim. Compared to other breeds, they can withstand a more extended period of exercises like 60 minutes of walking per day and additional activities after that. They can climb the hills or play ball romping without getting tired quickly. If they bite someone or already hurting you, you must also dominate them by not giving them attention even when they seek it. It is a way of letting them feel that biting is not right to do. They will automatically feel what you are trying to say since they are emotionally attached to their masters. You, of course, should reward them if they followed you. You don’t have to be harsh when you want to train them because of they smarter enough to see your actions. This quality sets them apart to the other dog breeds. Usually, silver lab puppies bite their siblings out of fun during the teething period. However, you can control this behavior by giving them soft toys that they could use to give them relief. Although they are athletic, it is not advisable to train them intense activities before they reach 5 to 6 months old. Their body and organs are still prone to injuries and can even lead to traumatic experience. Prevent playing tug of war with your silver lab because it can trigger him to be aggressive. You can instead talk them out for a brisk walk. You may also introduce him to play games like hide-the-toy so that he will learn to follow instructions at the same time. Despite the controversy behind the color of silver labs, they are still one of the most lovable creatures in the world. Their temperament is most notable than the fact where they originated. So, if you are an aspiring pet owner who doesn’t mind about the origin or color of this breed, don’t hesitate to give yourself a chance to adopt a silver lab. After all, what matters most is the benefits and joy it can provide you!